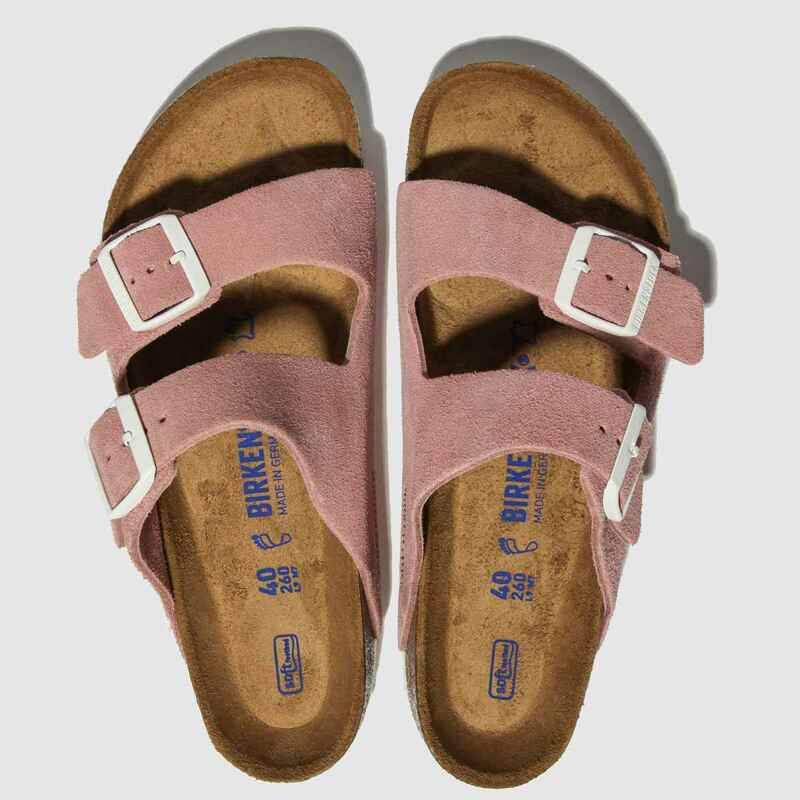 Pretty in pink, the iconic Arizona SFB profile from Birkenstock gets the blush treatment. 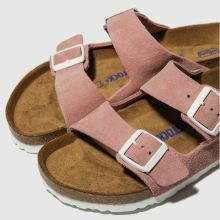 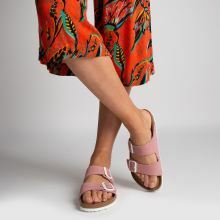 Arriving with a premium pink suede upper, this classic two-strap sandal boasts branded adjustable buckles in contrasting white to add a pop. 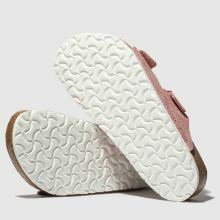 An EVA sole finishes.